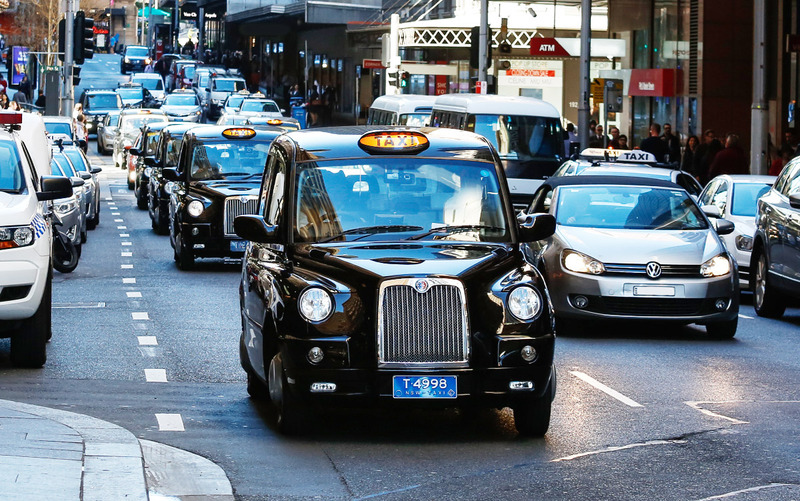 London Taxis on the streets of Sydney? It was a question that needed answering. 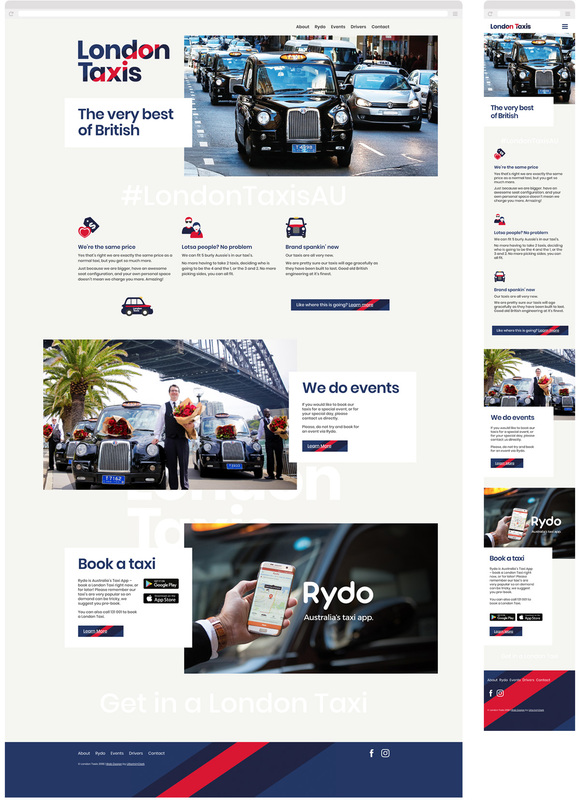 London Taxis Australia had made a commitment to bring the best of British to the Australian public. 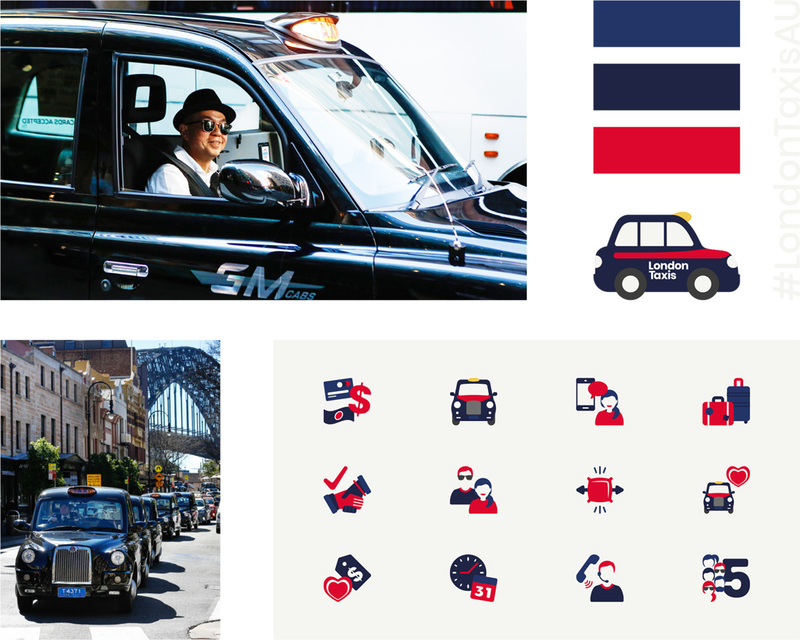 They required a strategy that clearly communicated their offering to the public and encouraged them to engage with this most iconic of taxis. Working with a great product is fun and does present certain challenges. Anyone who has been to London has fond memories of a London Taxi. Our challenge was re-positioning them to be a viable and preferred transport alternative for point to point transport in Sydney. Re-positioning an icon from an oddity to a preferred transport method was just about clear messaging. We broke the problem down into steps that included simple and clear explanations of what the product was, why it was better and how you go about getting it. Object awareness was very high but brand awareness was not. We created an engaging user experience that was anchored by clear messaging and custom imagery of drivers and passengers. Tone of voice was also important here – we could not come across as old fashioned or stuffy – so we incorporated a more casual, almost Australian vernacular to bridge the gap between Britain and Australia. To increase awareness of the service, we created social platforms and concentrated on communicating attitudes from surprise to delight. “When it comes to marketing lcdc.co did everything for us. They built our brand, website and digital marketing which gave us time to concentrate on what we do best.